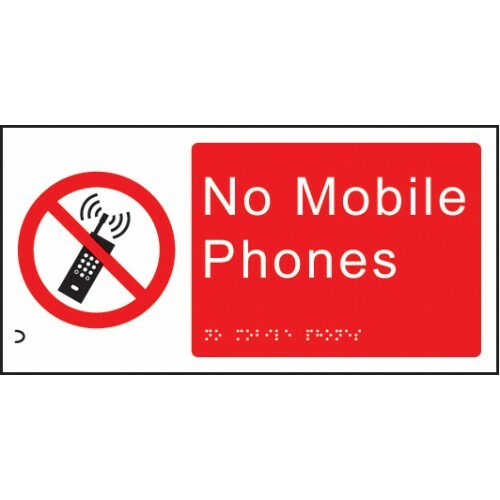 This braille no mobile phones prohibition sign helps ensure people with visual impairment are informed of actions which should not be committed, ensuring the safety of all. The raised letters, prohibition symbol and braille ensures this prohibition braille/tactile sign can be read by everyone. Designed to help you meet your obligations under the DDA and Equality Act 2010. 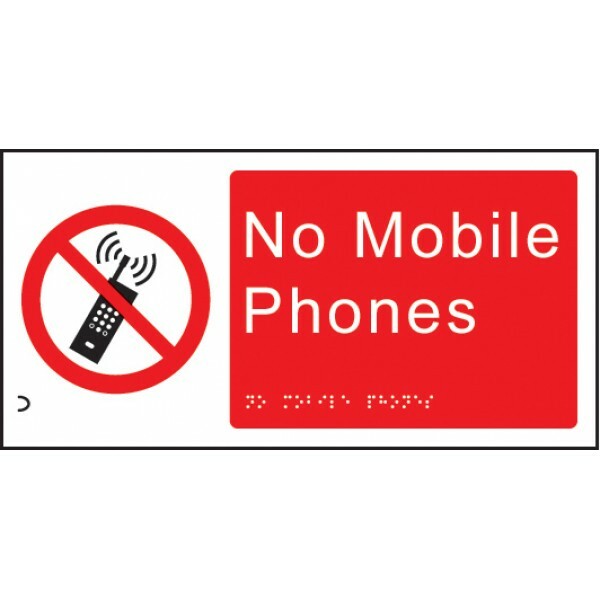 Our braille signs have an adhesive backing for easy installation.